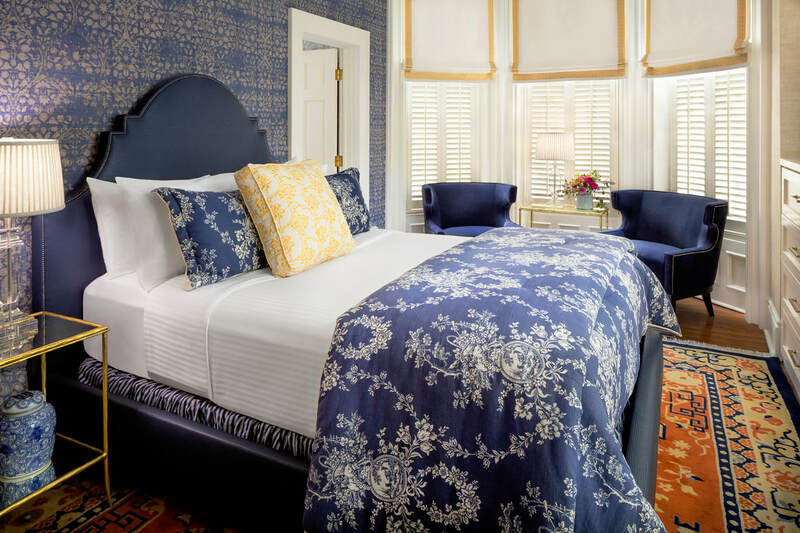 As one of the most romantic getaways in Savannah GA, the Hamilton-Turner Inn immerses you in Low Country history, charm and ambience from the moment you arrive. A stay here will transport you back to a grander, bygone age when travel truly meant something special and gracious, personalized hospitality was a hallmark of every guest experience. Built in 1873 by prominent local businessman and alderman Samuel Pugh Hamilton, known then as “The Lord of Lafayette Square,” the private mansion became a hub for Savannah’s social scene , with its grand architecture and interiors lending a touch of grandiosity to the many gatherings of the elite. Over 100 years later, John Berendt’s novel “Midnight in the Garden of Good and Evil” made note of the raucous parties thrown by Joe Odom, who at one time managed the property. Three years later, the Inn made a cameo appearance in the Clint Eastwood-directed film of the same name starring Kevin Spacey and John Cusack. Today, our 17 rooms are individually designed, with touches that vary from 11-foot windows and antique four-poster beds to walk-in showers or slipper tubs or private entrances. Every stay will be different, as no two rooms are the same. Each is sure to captivate and entrance, offering a unique experience unto itself. We also have a separate carriage house with three bedrooms and three baths. We pride ourselves in our luxurious presence while maintaining personal touches and ensuring each guest enjoys every moment of their stay. When you’re ready for adventure, discover the secrets of one of the most beautiful cities in America while experiencing the culture of the area at regular festivals, gallery openings, sporting events, and outdoor adventures that welcome tourists and residents alike. Our Southern hospitality shines through at our boutique hotel with everything we do, with around-the-clock, personalized service that has been recognized by distinguished media outlets including Travel + Leisure, Trip Advisor and Fodor’s Travel and Forbes Travel Guide, we believe you will experience a vacation that you’ll never forget. Need even more proof? We encourage you to read the reviews of our past guests on any of the travel sites and hear their experiences at the Hamilton-Turner Inn.